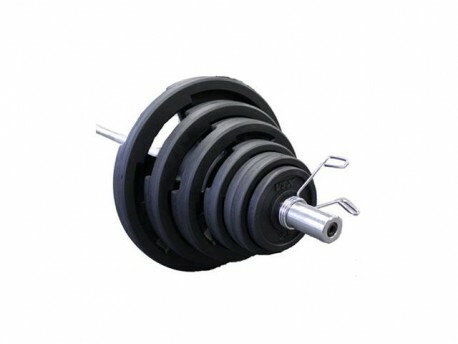 BAR FEATURES: Precision engineered from high strength stress proof alloy steel. Medium depth diamond knurl surface for safe, positive grip and maximum control. PLATE FEATURES: Troy VTX Rubber Coated Grip Plates. Affordable quality! 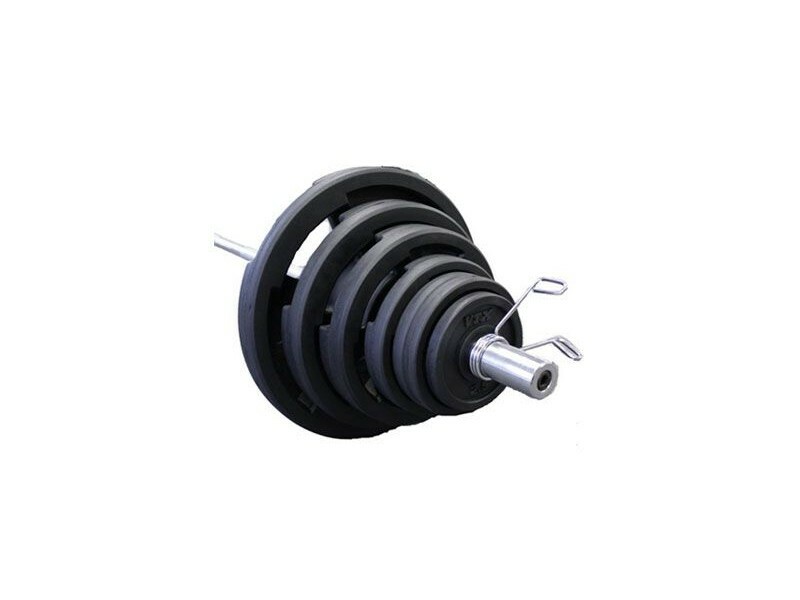 Our VTX high grade, wide flanged, "quiet iron" rubber encased Olympic grip plates feature 3 slotted gripping areas (45lb, 35lb, 25lb and 10lb only) that actually raises them off of the ground, providing easier lifting and loading from a prone or angled position. The durable rubber coating protects the plates, floors and other equipment from damage. Raised reinforcements on both sides of each grip slot help make it a true institutional plate and the choice of trainers, world wide. Center bores are precision drilled for a snugger fit on most 2in Olympic bars.